Ash Gibraltar Tripod. Tele Vue’s longer, heavier 4” scopes are best matched to the rock-solid Gibraltar mount. The larger bearing surfaces and thicker wood legs best handle the loads, especially for high power viewing. This tripod is finely crafted and American made in walnut wood for beauty and quick vibration dampening. Leg extensions raise the tripod height to 5 feet, still ideally sized for use with Tele Vue’s Air-Chair observing stool. An accessory tray ties the legs together for rigidity. 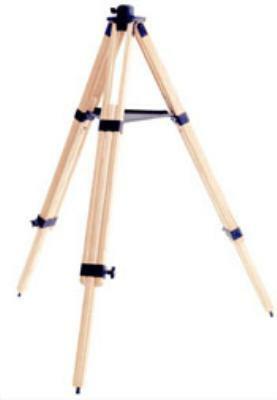 Click the button below to add the TeleVue Gibraltar Tripod (Ash) to your wish list.